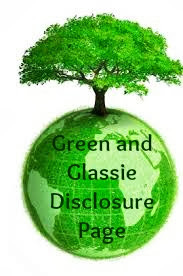 As many of you know I am a book reviewer for quite a few publishing companies. After King (my black lab) died on December 27th, 2014 - I found myself missing him so much that the only way I was able to cope was reading. I had read all the books I was reviewing - so I decided to take a chance on a Romance Novel that was FREE on Amazon. 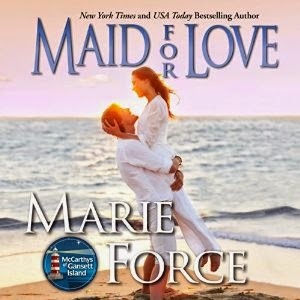 Maid for Love by Marie Force. I had never read anything written by Marie ~ she was a new author to me. I decided to get Main for Love in both reading and audible form ~ Whipersync for Voice a service offered by Amazon and Audible that allows a person to read and listen tot he same book. Well, let me tell you I am hooked on the McCarthy Gassett Island series! Marie Force does an excellent job or expressing the characters feelings and emotions. Not to mention some great love scenes. How she continues the characters from book to book I really have the feeling that I know them. I know their past and am looking forward to seeing what life holds for their future. I am shocked how fast I was able to read/listen to thirteen books. I went from book to book continuing the story. Getting more involved into the characters lives. I read/listened to all of he books within one month. I read at home - listened when I traveled in my Jeep. When my eyes got tired before bed - I listened. What is great with Whipersync is that it keeps your place in both reading and listening. Marie also has a Facebook Group for McCarthy's Gansett Island - Click HERE to Join! I was very happy when I learned that Marie plans to continue the series. She is currently writing about Paul. She has promised that the book will be available in 2015! Now the hard part for me is waiting! I am sure the wait will be worth it ~ I am anxious to hear Paul's story , plus catch up on the others at Gansett Island. If you are looking for a great romance series that has characters that you would like to be friends with - The McCarthy Series is for you. There are some extremely sexual parts in all of the books. I felt the sexual parts were well written and by no means were trashy. I was not compensated in anyway to write this post. I am sharing with my readers a excellent romance series that was able to ease my heart while I mourned the lost of my bestest friend Kingers. That sounds like an awesome book! I am adding it to my reading list. This sounds like a great book series. I will add it to my reading list. These look really good! I am always looking for great books to add to my list! Oh, these sound good. I love a good romance. I'll have to add these to my collection. Sounds like a good series to me. I will have to check a few out! Listening to books is a great idea! I have gotten to where either me or my oldest daughter 10 reads to the kids in the car whenever we can. You know you've got a great series when you zip through books like that! I had no idea Whipersync kept your place in both reading and listening! Very cool! Sounds like a great series. Love finding new authors. I love reading series because I get so sad when a book ends. This does sound like an intriguing series, one that I will have to add to my reading list! This sounds like a fun series. I'll be putting it on my beach reads list for this summer. I haven't heard of these series but I LOVE a good book so I'll have to check them out. Sorry to hear about the loss of King. I lost my dog Maximus January 1st. For me, Netflix has been my distraction. Hugs. It's great that you were able to enjoy these books so much. I love when I find a series that I can really get into. Sounds like a great read. I haven't read a book like this in a long long while. I will check it out! I wish I had more time to read. Maybe when my kids are older. My mom loves romance novels and she always needs new ones. I'm sending her your link! I love books that are a part of a series. This sounds like an awesome book. Wow, 12 books! It's like the series that doesn't end. I love it when authors carry out a series for a while. You really get to know the characters and it just gives you a chance to like them even more. My mom would love this series! This looks like such a page turner! This sounds like an interesting series! I have a close friend who is really into these types of novels, I'll have to tell her to check this series out! I love books that just drags me into them and these sound like ones I would personally love to read. Wow! She's written a lot of stuff! I used to really love romance novels. Maybe I can get into them again. I love a good romance novel. Actually, I'm heading to the beach tomorrow and these would be a great read! Looks like a great series. I am always looking for more books to read. I wish I could write books! What a great collection of reads! I have read a romantic novel in a long time! These look like great series!